Like the priest obliged to save all souls, or the imaginary broadcast institution obliged to respect all faiths, this program had a divine indifference to usual order. The Melbourne Catholic Church has turned down the volume on footy songs at funerals, banning them and other popular music under strict new prohibitive guidelines. The outspoken Father Bob Maguire doesn't agree but says he will follow orders from (very?) high above. 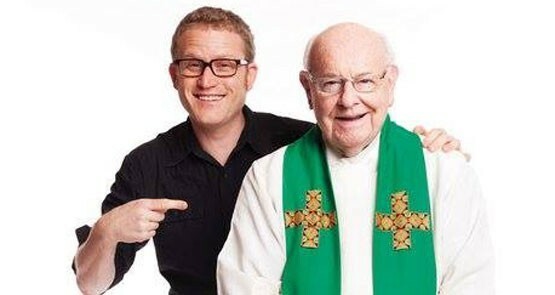 Why should priests retire at 75? Despite dwindling numbers of priests, the Catholic Church refuses to retain influential men of the cloth with wide appeal, like Father Bob Maguire, once they reach 75, writes Crikey intern James Pattison.